Exclusive Multipole™ Technology–Twelve Poles of Articulation deliver MIT Cables’ signature perfor- mance to your system. Multi-gauge construction with 0.999999 pure copper conductors–The purest materials deliver superior conductivit Lees meer..
Multi-gauge construction with 0.999999 pure copper conductors–The purest materials deliver superior conductivity for improved performance. Highest-quality polyethylene (P.E.) 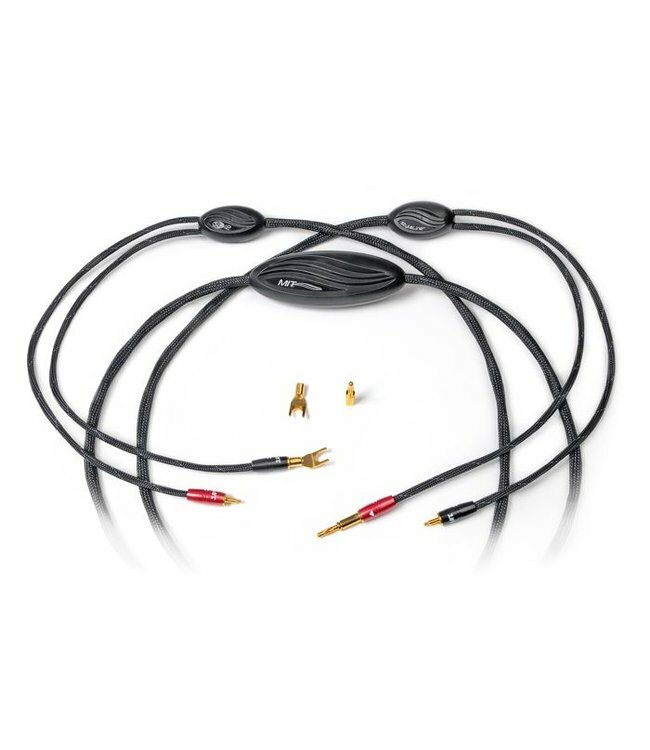 insulation–Reduces non-linear dielectric-based distortions for excellent low level detail and superior sound. iconn™ interchangeable connector system–provides a quick and easy solution to your connection needs. Rugged over-braided jacket–increases durability and cable life.